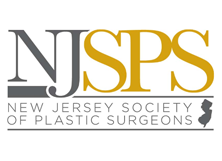 As a top-ranked plastic surgeon in Princeton, NJ, I understand the importance of taking those body parts that have been broken or injured by accident or disease. I mold them, making them whole and useful once again; to help those who would choose to enhance or improve what they were born with, so as to make it more pleasing in their eyes; to help those who are still young inside, but whose exterior has been dulled by the passage of time and the pull of gravity. 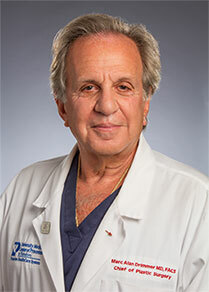 Having treated patients for more than 36 years, his level of expertise in cosmetic surgery and quality of care has enabled thousands of men, women, and children to feel and look their best. In his years of practice, Dr. Drimmer has thoroughly researched every technique, service, and product provided, and offers only the very best available. His loyal patients describe him as a dedicated professional who is trustworthy, reassuring, caring and kind. After completing his residency at Beth Israel Medical Center and Upstate Medical Center in New York, Dr. Drimmer obtained his board certification through the American Board of Plastic Surgeons. 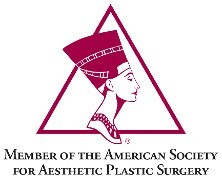 Currently the Section Chief of the Department of Plastic Surgery at Penn Medicine - Princeton Medical Center, Dr. Drimmer maintains a private practice in Princeton, New Jersey as a top-ranked plastic surgeon. Board certified in plastic, reconstructive and cosmetic surgeries, as well as surgery of the hand, Dr. Drimmer also founded the Princeton Breast Institute as part of his continuing commitment to the treatment of patients diagnosed with Breast Cancer, offering mammoplasty services. This coupled with his innovative "one step" breast reconstruction method, has helped countless women in their road to recovery following a Breast Cancer diagnosis. "Many thanks for pointing my nose in the right direction! Your skills and integrity have made my journey simple, stressless and a pleasure. You're the BEST!" "Dr. Drimmer has given me back the true quality of life…I am no longer encumbered by feelings of self-consciousness. I know that from now on when someone looks at me, that they will be seeing me and listening to me and that I can just be myself. It feels so great!!" "Dr. Drimmer is rated "Top Doc" for a reason. He is compassionate, patient and an incredible surgeon! 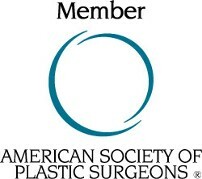 I would recommend Dr. Marc Drimmer to anyone who is looking for an incredibly trustworthy and honest Plastic Surgeon!" "It is amazing how one normal day of work for you was one that changed my life FOREVER. You are truly an artist. Thank you so much for making me feel so much better about myself." "Feeling less attractive as I aged was difficult for me. Dr. Drimmer changed my life. He gave me back my joy of life. I feel and look like I did 15 years ago, maybe better. His skill and expertise and wonderful bedside manner are the complete package you need in a board certified Plastic Surgeon."